But, the long-term benefits of healthy eating are a hard sell when making ends meet in the short-term is a more pressing priority. A groceries basket made up of meat, fish, starchy foods, vegetables, beans, milk, oil and sugar cost R1797 in January. 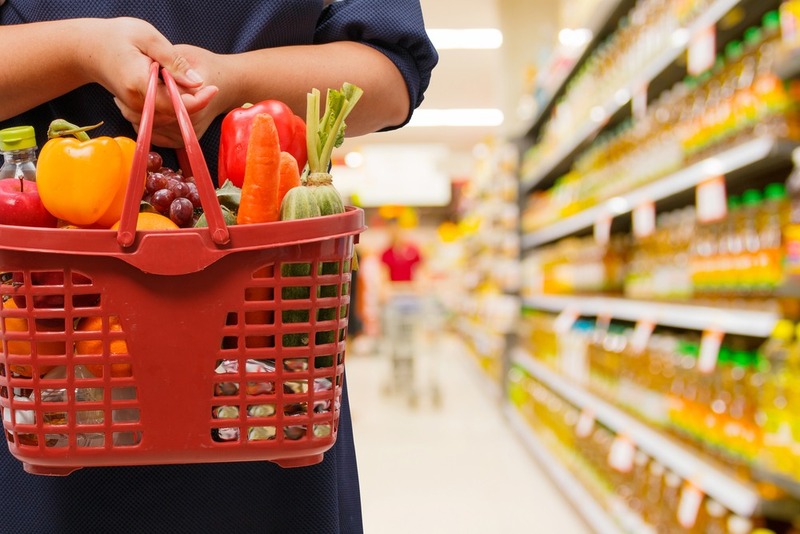 Whereas, in March, the cost of a groceries basket had risen to R1869, according to Pacsa. Households are now prioritising staple foods over nutritional foods, Pacsa researcher Julie Smith said. People are buying less vegetables, meat and dairy products – as they cannot afford these food groups. “This may have long-term and irreversible effects on health, productivity and well-being,” Smith said. But households are now getting into debt to cover food costs, as they find themselves running out a few weeks into the month. As a result, “sporadic, disruptive” protests against high food prices are being planned by the South African Food Sovereignty Campaign. Many people are eating low-priced maize snacks just to make it through the day, which are contributing to rising rates of diabetes and obesity, said the campaign’s spokesman Imraahn Mukaddam. To cut costs, wheat-based foods should be substituted with rice, and beef with chicken, suggested Pick n Pay group executive David North. With the price of groceries set to spiral out of control, here are some tips to help you spend less. Planning your meals can really help you keep cut costs. The internet is choc-full of helpful advice on how to prepare fast, simple and cost-effective meals. Subscribe to food blog mailers and visit grocery store websites for recipes. Moreover, everyone knows that the more effort you put into your meals, the better they taste. South Africans love their meat, but you don’t have to be a carnivore every day of the week. Meatless Mondays will help you stick to your weekly budget, as pulse, pasta, vegetable, canned fish and mealie meal dishes are wonderfully affordable and tasty. You need not limit it to one day of the week either – a few vegetarian days is good for your wallet, the environment, your health and the animals. In winter, vegetable-based soups, casseroles, stews and stir fries are a treat. Or if you can’t bear leaving out the meat, cheap cuts of meat taste just as good with these slow-cooked, ‘brothy’ dishes. Having a shopping list is essential if you are sticking to a budget. The best way to create one is to first do some meal planning, then just jot down the items you need to prepare these meals. This way, you won’t end up wasting money on foods you don’t need. Also, it will lead to less time spent in the supermarket, which means less time to be tempted. If you shop hungry, you’ll be tempted to buy everything you lay your eyes on – especially expensive inessentials. Make sure your tummy is full before heading out for groceries. Shopping on weekends when you are rested and relaxed is also preferable to going after work, when you are ravenous and stressed out. Going shopping for groceries on your own will ensure you get in and out, without buying more than you need. Shopping with the family, especially children, who keep adding luxury foods to the trolley, will always end up costing a lot more. Go alone and get only what you need to prepare your weekly meals. Always compare, calculate and think before buying food in bulk. Consider whether you use it regularly and whether it is an essential. Pay close attention to sell-by dates and ask yourself whether it will be used up before it spoils. Fresh produce spoils quickly and sometimes cannot be frozen. Do the maths. Sometimes you will find that it’s more cost-effective to buy singles instead of bulk. Just because it’s in bulk doesn’t mean it’s cheaper. Packaging can often be misleading, when it comes to the actual volume of the product you are buying. You can check how much you are really getting by looking at the weight specified on the bag. Don’t put just anything in the trolley because it looks like good value. Some grocery stores slash prices on perishables that they haven’t sold by the end of the day or by their sell-by dates, yet are still very edible. Take advantage of these deals whenever you can. Spending R2.40 on 6 grocery bags every time you shop can really add up. Shopping for groceries just twice a week will add R19.20 monthly to your grocery bills and R230.40 yearly. Keep plastic bags in your car or make use of reusable shopping bags and save on this unnecessary expense.